So, you’ve got a business meeting at 10am, a trip to the gym at 1pm, and then a date at 7 pm… are you going to wear the same outfit for all three? No way! So why would you wear the same watch for all three? Each scenario requires a completely distinctive wristwatch that provides contrasting special features and style for the wearer. This is where you’ll obviously be dressing sharp in very formal attire. You want to impress but not overdo it, so you’ll need a flashy watch that has just a hint of restraint. 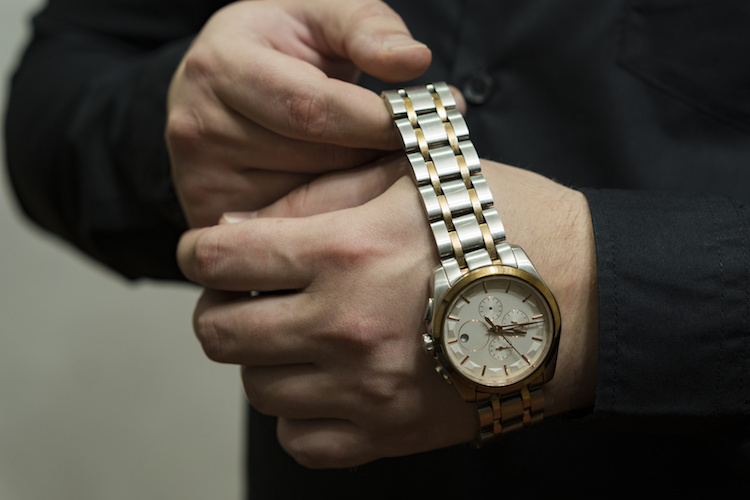 Brands like Rolex or Patek Philippe are definitely off the cards, as they absolutely scream, “check out my watch.” No, you’re going to need something subtle but still has everyone around you in awe of your watch. Go for a Swiss brand that has the history and longevity but isn’t as well known as say, Omega or TAG Heuer. Longines has been around since 1832 and certainly knows how to craft beautiful watches as well as anyone, so pick one out online and make sure you’ve got the outfit to back it up. Your Longines watch is certainly far too fancy to be knocked about at the gym, so take that off and switch it for something that can handle some bumps yet also provide some useful qualities. The Apple Watch is easily the best smartwatch out there, as the fitness tracking capabilities and heart rate sensors are second to none. Plus, it’s water-resistant and you can play music via Bluetooth, which means you can keep track of your workout regimes and be pumped up with some awesome tunes. And, let’s not forget, the Apple Watch looks absolutely fantastic and will match your stylish gym outfits. Finally, it’s time to ditch the Apple Watch and switch to something more casual and classic for your date. You’ll want to impress, but not in the same way as a Longines watch. It shouldn’t be a show of power like for a meeting, so you can be more focused on fashion and style on a date. Honestly, there are dozens of elegant brands out there, like MVMT or Daniel Wellington, but we’d have to go with Bremont. The watches are just so sophisticated but don’t have confusing dials or over-the-top bling that many other companies go for. The watch will easily be noticed and will make a strong showing that you have taste but don’t care to shout about it.